May 18, 2011-San Carlos, CA-The 31st Annual San Carlos Hometown Days will return this year after last year’s budget crisis threatened its’ return. Hometown Days, run by a volunteer committee of approx. 30 San Carlans, is supported primarily by donations from local businesses and individuals, as well as by some revenue from the event’s vendors. The city supports the event with a small amount of public works services, with the largest expense being police. Part of the transition contract with the San Mateo Sheriff’s Office included their support of Hometown Days. “The Sheriff’s Office is really looking forward to participating in their first Hometown Days event since taking over police services for the City of San Carlos,” said Captain Greg Rothaus. “There was a real concern last year, prior to the transition to the Sheriff, that the Police Department lacked the resources to be able to Staff Hometown Days in 2011. The Council’s decision to transition to the Sheriff last October saved the City $2 million annually and provided access to a wealth of resources provided by the Sheriff’s Office.” When asked whether the City would be charged by the Sheriff for Staffing Hometown Days, Captain Rothaus provided assurance that it would not. “All the costs associated with this Special Event are included in the contract”. This year’s event will include the traditional Friday night kick off with the SCEF kid’s concert. Saturday morning will begin with the bigger than ever parade beginning at 10 AM. 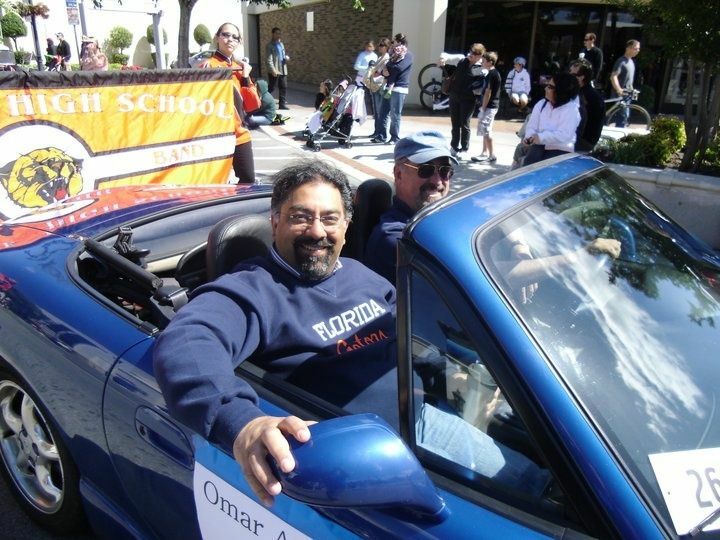 This year’s parade will be dedicated to Mayor Omar Ahmad who loved this event. Burton Park will then play host to 2 stages of live music and entertainment, as well as kids’ games, petting zoo, pony rides, lots of great local food, and of course, the beer garden featuring Devils’ Canyon Brewery. Saturday night features the Kiwanis pasta dinner and evening concert featuring live music by Livewire. Sunday is the Annual Rotary 10k Fun Run and Pancake Breakfast, more entertainment throughout the day, the pet parade, and closes out with the 3rd Annual High School Battle of the Bands. There truly is something for everyone. For a complete event schedule visit www.sancarloshometowndays.com while there, be sure to click the paypal button and lend your support (no amount is too small), to help ensure we can enjoy the best weekend in May for years to come.